2018 celebrated 110 years the Sanborns have been in the movie biz! 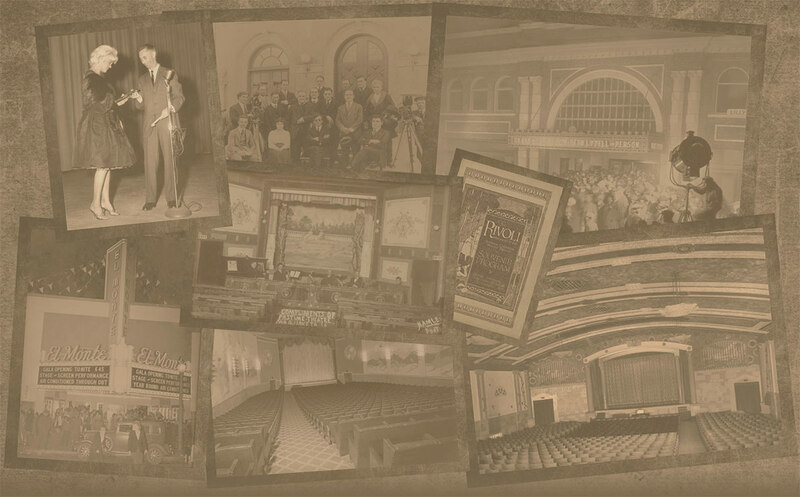 The oldest existing theatre company in the western U.S., the roots of the Sanborn Theatres family business go all the way back to the beginning of the industry. In the very early 1900's, Vitascopes and other early projection systems had become a popular novelty in vaudeville playhouses across the U.S., ultimately replacing the Kinetoscope parlours. Soon the movies from the Edison Manufacturing Co. became the starring attraction in the playhouses with the vaudeville acts as second billing. The cinema business was born. Such was the industry about 1908, when a young high school lad, A.L. Sanborn, landed a management job at Rice's Opera House in Maquoketa, Iowa. 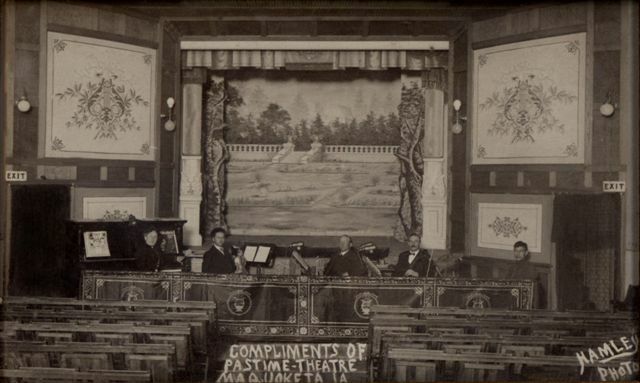 When the Pastime Theatre opened, he worked at both theatres in town. 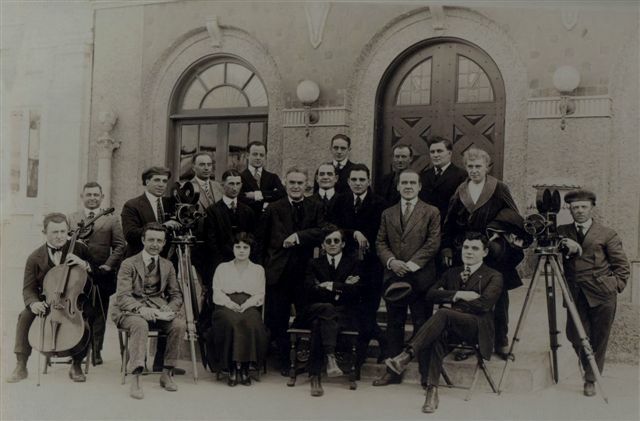 In 1915, the lure of Hollywood called young Sanborn so he returned to southern California, where he had lived as a youngster, finding production work at Paramount with the W.H. Clune Film Producing Co. on Melrose Ave. (formerly Zukor's Famous Players studios). Then, as assistant director with business manager duties, he worked for Stuart Paton at Universal Studios. Mr. Sanborn worked on Clune's 1916 "Ramona" and then Paton's 1916 "20,000 Leagues Under The Sea" and Paton's 1917 fifteen chapter action serial "The Voice On The Wire". However, sometime around the end of 1918 or 1919, Mr. Sanborn acquired a playhouse in Los Angeles on West Adams at LaSalle Street, and with a partner, invested. 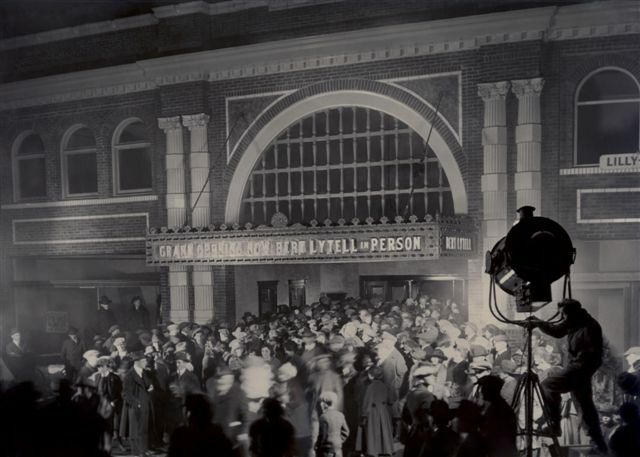 On July 31,1920 the "new and better" LaSalle Theatre held a grand reopening featuring Mary Pickford's "The Hoodlum" on the screen and a "mighty pipe organ" in the remodeled auditorium. A.L. Sanborn was now well on his way to directing theatres, rather than movies, as his life's work. In 1921, the second theatre was opened named the Rivoli. Described as "southern California's Wonder Theatre", and featuring a "specially designed Wurlitzer organ to thrill and grip you", the Rivoli was constructed on Western Ave. at 46 St. In 1923, the Rialto opened in the suburbs (city of El Monte) with Mrs. Sanborn doing the cashiering on opening night just a few days before their wedding. 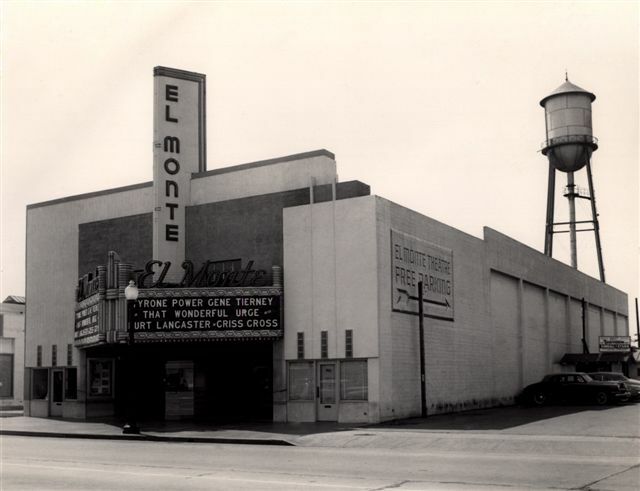 In 1939, Sanborn Theatres opened the El Monte Theatre with another new novelty -- air conditioning. After U.S. Navy service followed by advertising studies at the University of Southern California, Art Sanborn joined the business in 1948 continuing the showmanship and innovations of his father. Art pioneered many "firsts" in Los Angeles County. He had the distinction of developing a shopping center theatre, the Eastland in West Covina (that is, a theatre with its own parking lot away from the Main Street). The theatre opened in 1961 at a time in history when main street theatres were closing all across the country due to television. The design of the Eastland Theatre can be seen today in the architectural history book "Overdrive" at the Getty Museum. 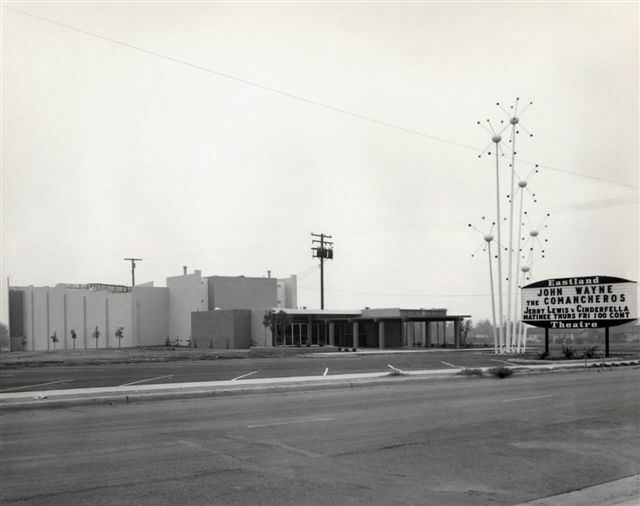 In 1969, the Wescove Cinema 1 & 2 became the first fully-automated multiplex cinema built in L.A. County. Art Sanborn, over the next 25-plus years served on various committees for the National Association of Theatre Owners. In 1994, he was honored with the industry's highest award when he was named NATO / Showester of the Year. In 1975, after a few years of learning real estate leasing with Grubb & Ellis in downtown L.A., Bruce Sanborn eventually joined the family business full time. A graduate of USC, Bruce was a volunteer guest-teacher for over 20 years for one class each semester at USC's cinema school. He is involved with NATO having served on various committees and also served a term on the CARA Appeals Board for the Motion Picture Rating System. Bruce Sanborn became president of Sanborn Theatres Inc. (dba SoCal Cinemas) around 1989 and supervised the growth from 25 to 100 screens in California from San Diego county north to San Luis Obispo county, unveiling a new model each decade. 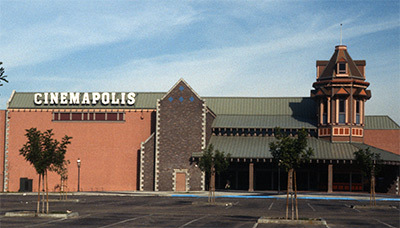 The late 80's model was the Cinemapolis in the Anaheim Hills / Yorba Linda market, at eventually 13 screens, was the most screens of any cinema building in Orange County at that time. Described by industry insiders as built before its time, it opened under the banner "Beyond State of the Art". In 1992, the Cinemapolis was awarded the NATO national grand prize for customer service, and in 1993, the Hollywood Reporter honored the Cinemapolis their grand prize for showmanship and marketing for its creative launching of "Jurassic Park". In the 1990's, the company's model was called The Movie Experience. In 1994, the Riverside Marketplace's grand opening unveiled a new prototype -- "stadium style" seating. Following this, several other stadium theatres were opened in the Inland Empire with the Cal Oaks 17, in Murrieta, being the largest. In the 2000's, the new model was called CinemaFusion, which blended three distinct audience experiences under one roof: an IMAX; a 21 & Over luxury experience with large recliner seats; and auditoriums for the traditional stadium family experience. 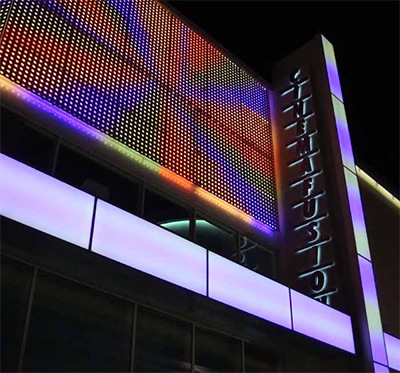 The year was 2008 when CinemaFusion opened at the Anaheim GardenWalk on Disney Way in the Anaheim Resort area. At that time, the IMAX constructed there was one of only five IMAX's in southern California. CinemaFusion's Sky Lobby Lounge offered beer and wine -- the first cinema in Orange County to do so -- and offered a great view of the nightly fireworks show over Disneyland's Matterhorn.